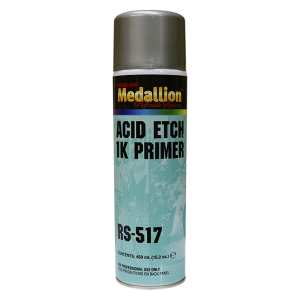 A premium single-component, self-etch primer for use on bare metal parts. It contains acid and has exceptional adhesion to all bare metal substrates. Must be topcoated with another primer before topcoating with polyester-based coatings. Packaged in 20 oz. aerosol can.